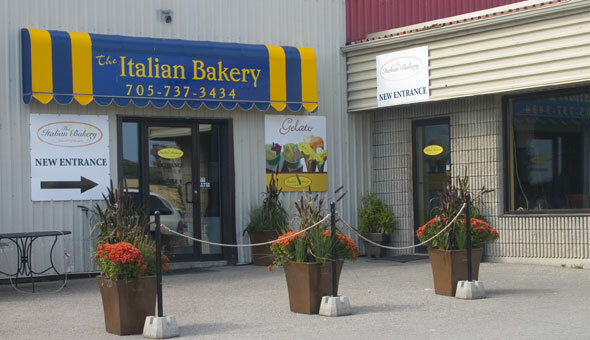 The Italian Bakery is a bakery and cafe on Wellington St. near the 400 in downtown Barrie, come in and enjoy a freshly brewed cappuccino and a hot meal in their dining area. The Italian Bakery offers a wide variety of fresh baked goods, speciality cakes, deli meats and cheeses, coffees, fresh bread, a hot table including pizza, lasagna, pasta, veal, etc., and much more. All their products are made fresh daily from all natural products. Catering and cake orders are available.